A key advantage of the Teen Science Café model is that it allows learning to become anchored in cultural questions that are meaningful in the lives of student participants; however, this can prove to be a bit of a challenge when speakers attempt to engage students that are traditionally underrepresented in STEM disciplines, while simultaneously lacking familiarity with their culture. Such cultural disconnects can prove to result in the under-valuing and/or lack of interest in the Café topics presented to scientists by students. In order to address the aforementioned challenge, it may prove beneficial to enhance Café implementation via establishing relationships with STEM entities on campus that are focused on under-represented populations, such as the National Society of Black Engineers (NSBE). NSBE is dedicated to the academic and professional success of African-American engineering/STEM students and professionals and offers its members leadership training, professional development, mentoring opportunities, career placement services and more. NSBE is comprised of 242 collegiate, 70 professional, and 82 pre-college active chapters nationwide and overseas. In addition, NSBE has a Pre-College Initiative (PCI), which serves to mentor high school students that have an interest in STEM related fields. 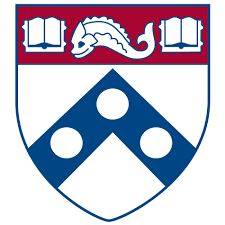 As a participant in PCI, the Upward Bound Math Science Program at the University of Pennsylvania currently has a strong relationship with the campus NSBE chapter, which provides hands-on STEM activities, as well as idea development and coaching for science competitions. Penn UBMS will extend its relationship with NSBE to have the organization serve a “bridge” to help students frame Café proposals to scientists in a more relatable way, while still allowing the topic to maintain its cultural value. Additional campus-based resources may include outreach/extension offices, cultural houses, and lifestyle centers.